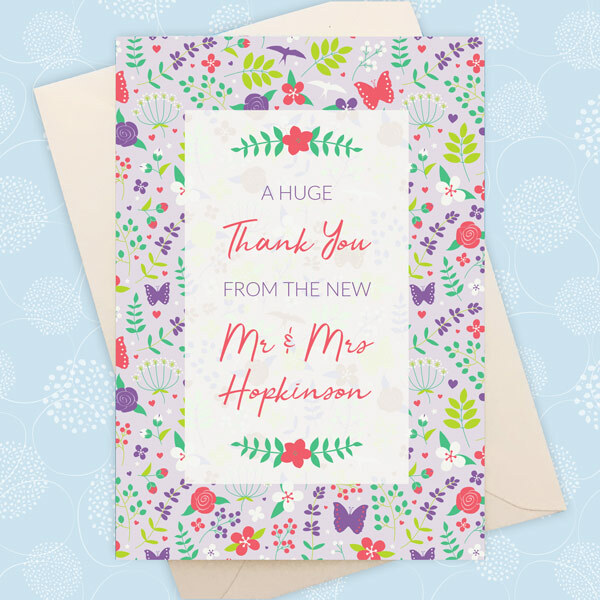 The Merry Meadow Flowers wedding thank you card is a greetings card which is personalised with your names. The card can be used to thank your guests for being at your wedding and/or giving you a gift. 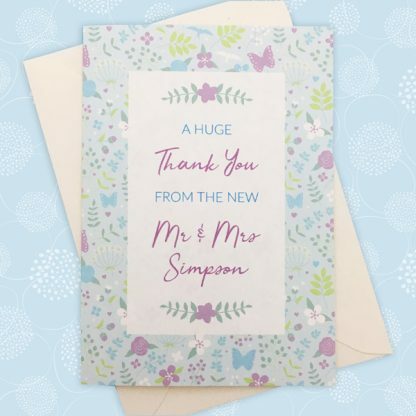 Alternatively you can use it to thank those who have helped with planning your wedding or on the wedding day e.g. bridesmaids. 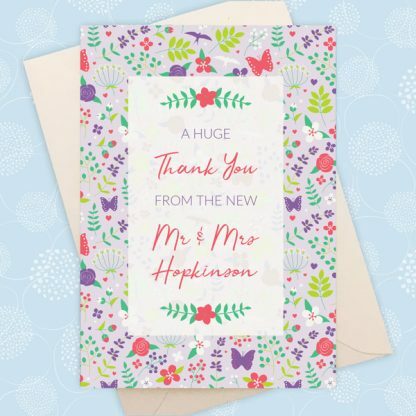 The Merry Meadow Flowers wedding thank you card measures 10.5 x 14.8 cm when folded. 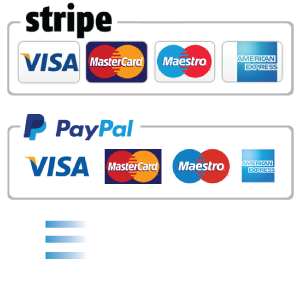 It is made from high quality white or ivory card with a smooth or textured finish. 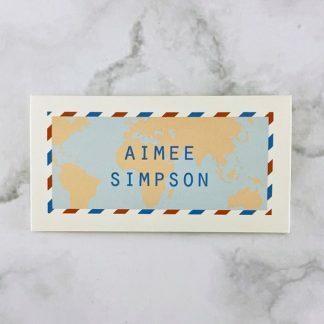 It is supplied with a co-ordinating white or ivory envelope. 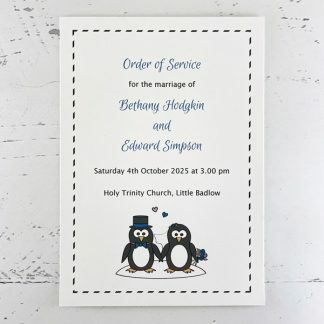 The front cover has wording of your choice. 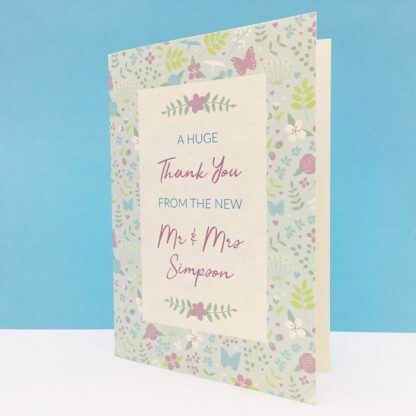 You can choose to have a message printed on the inside for a small additional cost. The Merry Meadows design is available in bright and pastel colour schemes. 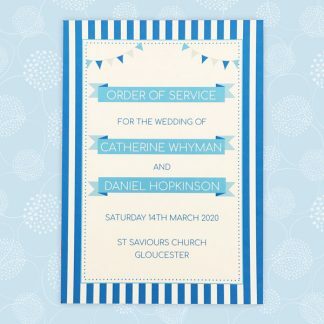 If you’d like other colours used on the design that’s no problem and they can be chosen from the wedding colour chart.